Caproic acid is the carboxylic acid derived from hexane with the molecular formula C5H11COOH. It is a colorless oily liquid with an odor that is fatty, cheesy, waxy, and like that of goats or other barnyard animals. It is a fatty acid found naturally in various animal fats and oils, and is one of the chemicals that give the decomposing fleshy seed coat of the ginkgo its characteristic unpleasant odor. It is also one of the components of vanilla. 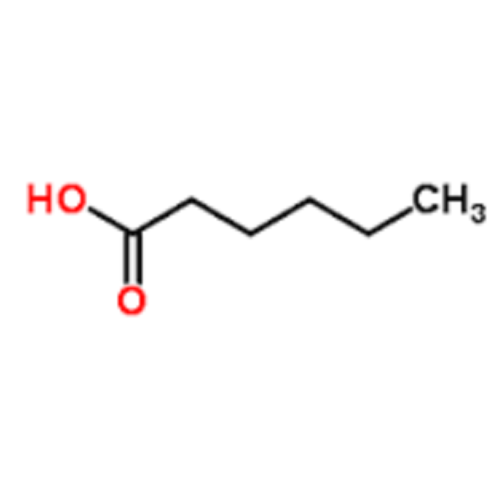 The primary use of hexanoic acid is in the manufacture of its esters for artificial flavors, and in the manufacture of hexyl derivatives, such as hexylphenols.